Items not collected/received by 20 April 2019 will be forfeited and no refund will be given. 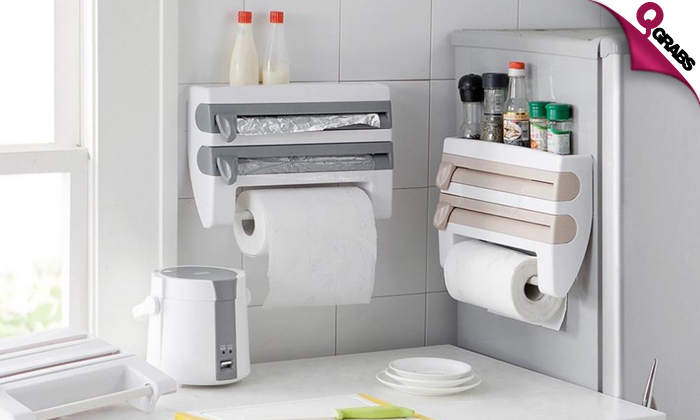 Designed for storing cling film, tissue, aluminum foil, sauce bottle, and paper. Also designed to be used a foil cutter. Wall mount kitchen storage rack is convenient for storage while saving space. Simple wall installation, screws and basic wall plugs included. Easy access to your kitchen necessities. With upto 53% off, Save space in your kitchen!